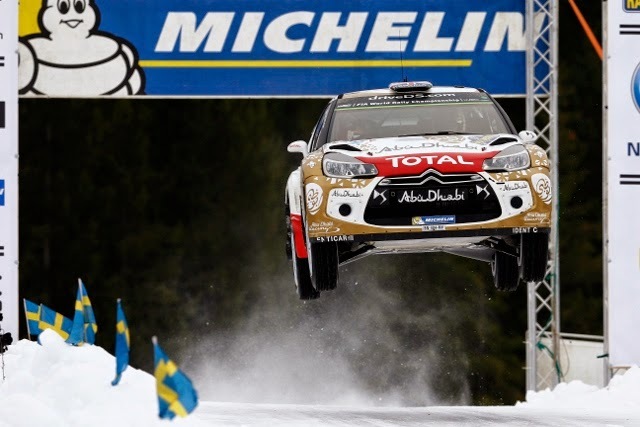 This morning’s final leg of Rally Sweden featured three timed stages. Fourth overall at the start of the day, Mads Østberg ran into trouble on Lesjöfors. He lost control of his DS 3 WRC, got stuck in a snow bank and it took him over five minutes to get going again. He dropped down to tenth overall, whilst his team-mate Kris Meeke moved in the opposite direction. Ninth overall as he left parc ferme, Northern Ireland’s finest was up to eighth after SS19 and was seventh by the end of SS20. On the Power Stage, Kris continued to push. Involved in a scrap for sixth place with Elfyn Evans, he spun midway through the stage but managed to hold onto seventh position.